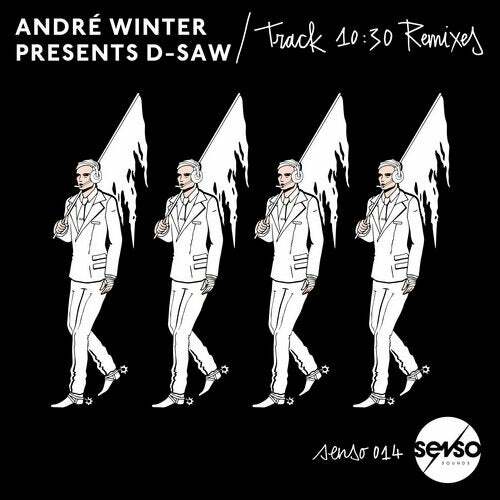 Way back in 1996, at the height of the widely acknowledged golden period for electronic music, D-Saw a.k.a Andre Winter released a true classic on Hamburg's highly influential Superstition label. Track 10:30 stood the test of time, becoming widely regarded as a key moment in European techno music history, despite its modest impact at the time. Now, 20 years later, Andre revisits the source material courtesy of some killer remixes on Oliver Huntemann's Senso imprint. Hamburg's own H.O.S.H. (Holger Behn) delivers an epic twist to the cut, widening out the spaces and adding his own tech-y signature to the original. Re.You offer up another flavour altogether, maintaining the iconic synth pulse of the source but introducing an infectious, driving groove. dubspeeka throw a bit more grit in into proceedings with a tough, machine funk mix, while Andre Winter himself reworks his classic into a slow burning groover that effortlessly showcases the elements that make this track so timeless.